A huge retail and entertainment center is beginning to sign up tenants and is looking to local favorites to create a major new dining hub in the southwest, facing Ikea. 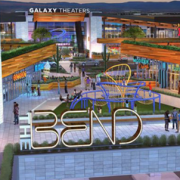 Located on “the bend” of the 215, at West Sunset Road and Durango Drive, The Bend will offer 84,250 square feet of initial retail opportunities, anchored by a 1,584-seat, 13-screen Galaxy Theater. Current leasing documents confirm Sola Salon Studios and Nail Spa as the first non-dining tenant, taking over second-floor spaces above the movie theater. On the same upper level, downtown’s Bin 702 is penciled to expand from the Container Park, bringing beer, wine, charcuterie, and cheese selections that fill 2,500 square feet, a large upgrade from the 650-square-foot original location. Closer to Sunset Road, the third local expansion for VegeNation will feature a vegetarian menu inside its largest restaurant yet, taking over 3,900 square feet. Facing VegeNation, SkinnyFats will have plenty of room to dish out its healthy or “live happy” choices inside a substantial 7,200-square-foot ground-floor space, plus a 3,300-square-foot upper level and surrounded by a 4,000-square-foot patio. Also on the way, the third Las Vegas home for The Great Greek Mediterranean Grill, inside a 2,000-square-foot portion of the western building close to the entrance to an underground garage. Sandwich experts Capriotti’s will fill 1,800 square feet in the similar structure on the opposite side of the entrance. And the first of three potential drive-thru options will belong to a 3,570-square-foot Johnny Rockets and its casual American fare. Still to come, developer J Dapper has dropped some potential big names to fill the remaining properties, citing serious conversations with Lotus of Siam, Pizza Rock, Aces & Ales Breweryand the Arts District’s Vesta Coffee Roasters. 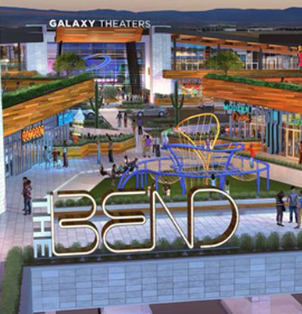 The Bend is working toward a late 2019 unveiling.